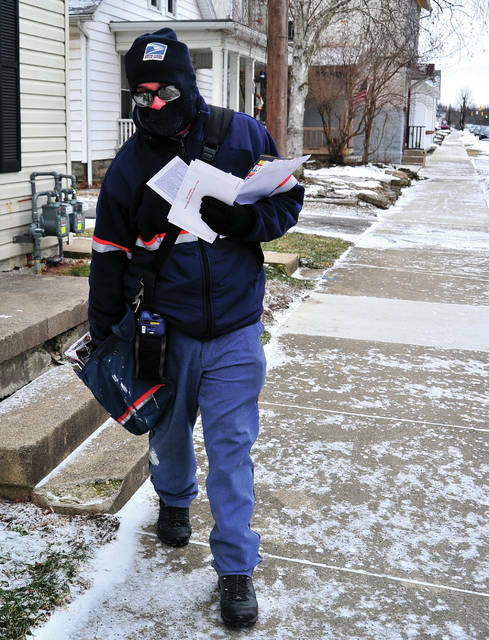 Piqua mail carrier Josh Stager is bundles up for the weather conditions as he delivers his route on Park Ave. in Piqua on Tuesday morning. Falling temperatures and high winds have prompted wind chill warnings across the midwest. 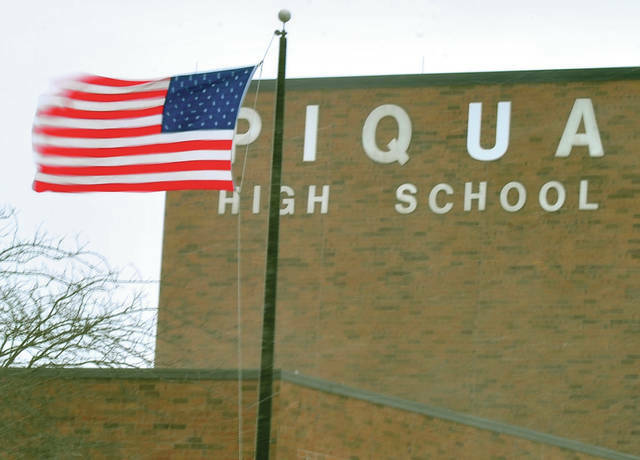 The flag tells the story. Winds whipping at upwards of 15-20 miles per hour along with temperatures in the low teens are making for dangerous conditions outdoors around Miami County. 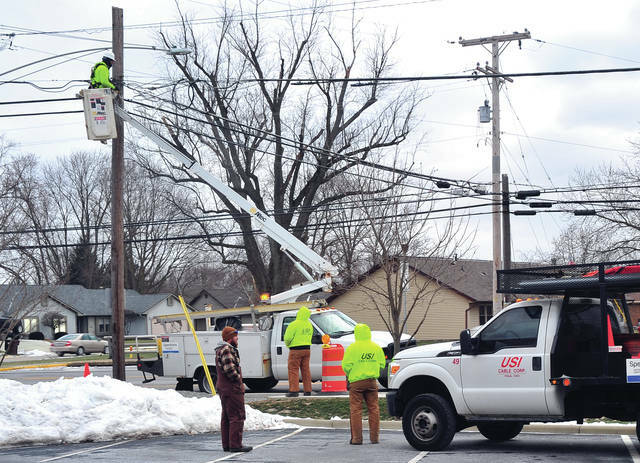 Workers from USI Cable work on lines along North Market Street in Troy on Tuesday. The crews are bundled up against temperatures in the teens and wind chills below zero.